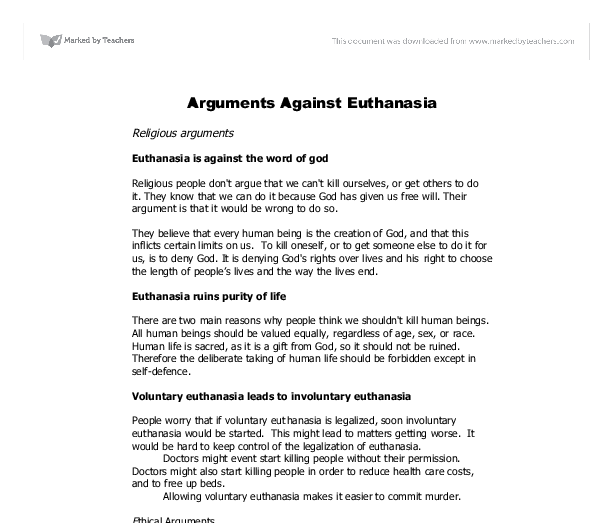 The arguments against euthanasia: man lies on hospital bed holding woman's hand Alternative treatments are available, such as palliative care and hospices. We do not have to kill the patient to kill the symptoms. Nearly all pain can be relieved. There is no 'right' to be killed and there are real dangers of 'slippery slopes'.